Q. Our firm is a personal injury plaintiff law firm located in Austin, Texas. We have 4 attorneys in the firm and all are partners who have been practicing for over 25 years. One hundred percent of our practice is PI plaintiff. We have been extremely successful over the years and handled some very large cases, have had some big wins, and handled several class action cases. Our current challenge is cash flow. The cases we are involved with seem to be bigger and more complex with fewer smaller cases that can be resolved quickly and contribute to cash flow. We are getting in deeper to our line of credit. Of late we have been discussing pros and cons of diversifying the practice and adding a non-PI practice area to our practice. What are your thoughts? Have you seen PI plaintiff firms do this successfully? A. More and more of our PI plaintiff law firm clients have been raising this question during the past year. While a lot can be said about specialization - a firm can also sometimes be too specialized. I have seen many hybrid firms over the past 20+ years that have successfully combined a plaintiff personal injury practice with a transactional practice. As one firm told me "we transactional folks bill the hours and pay the bills while we turn the PI folks loose to go after the big hits." Firms that operate the firm as a "firm-first" firm tend to be more successful with such a practice mix than do firms that are "lone ranger" firms operating as a collection of individual practitioners. 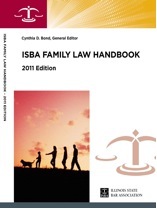 This comprehensive, must-have practice handbook produced by the Illinois State Bar Association covers nearly everything for general practitioners who handle family law matters. Written by 36 authors who concentrate in the field and edited by John Marshall Professor Cynthia D. Bond, the handbook is a complete update of an ISBA bestseller from the mid-90s. Topics include jurisdiction, pre-marital agreements, settlement agreements, modification of judgments, mediation, custody and visitation, assisted reproductive technology, grandparent visitation, guardians ad litem, property, support and finances, maintenance, child support, civil unions, immigration law, discovery, appeals, insurance matters, property valuation, adoption, paternity and much more. Includes some forms, a detailed table of contents, and an alphabetical list of cases with page numbers at the end of each chapter. Add it to your collection today! The Phi Alpha Delta Law Fraternity, International, recently held its Fall 2011 District XI Initiation Ceremony. Nearly 300 law students and attorneys from the Chicagoland area pledged to further the fraternity's mission of service and to uphold the core values of integrity, courage, compassion, professionalism and diversity. All photos by Will Edwards. At the December 10, 2011 meeting of the ISBA Assembly, two “under 35" delegates to the ABA House of Delegates will be elected, one from Cook County and one from the area outside Cook County. The nominees for these positions must be members of the ISBA in good standing from the appropriate area and under the age of 35 as of August 10, 2012. The elected delegates will serve for two-year terms commencing June, 2012 and will join the ISBA delegation at the ABA meeting in Chicago in August, 2012. The current incumbents are Kelly Gandurski, of Chicago, who is eligible for re-election and Jean Kenol of Joliet, who is not eligible for re-election. Nominations must be made in writing by at least 20 ISBA members in good standing from the appropriate area. Nominations must be filed with the office of the Executive Director no later than Monday, November 21, 2011. Further information and nominating petitions are available from the office of the Executive Director, Illinois State Bar Association, 424 S. Second Street, Springfield, IL 62701 or by contacting Kim Weaver at (800) 252-8908 or kweaver@isba.org. The Supreme Court of Illinois announced Thursday the appointment of Jefferson County State's Attorney Nicole L. Villani as a Circuit Judge in the Second Judicial Circuit. Ms. Villani was appointed to fill the resident Circuit Court seat which will become vacant upon the December 31, 2011 retirement of Circuit Judge Terry H. Gamber. The appointment is effective January 1, 2012 and will expire December 3, 2012, when the position will be filled by the winner of the 2012 General Election. Prior to serving as Jefferson County state's attorney, Ms. Villani, 41, practiced in family law, civil litigation and criminal defense with the Mt. Vernon law firm of Villani and Villani for six years. From 1998-2004, she worked as first assistant state's attorney in Jefferson County. For two years, Ms. Villani served as assistant state's attorney for Franklin County. Ms. Villani received a B.A. degree in Political Science from the University of Illinois in 1992. She received her juris doctor degree from Southern Illinois University School of Law in l995. She was admitted to practice law in Illinois in l995, and has also been admitted to practice in the United States District Court for the Southern District of Illinois and is certified as lead counsel by the Illi-nois Supreme Court to handle death penalty cases. Ms. Villani is member of the Illinois State and Jefferson County Bar Associations. A member of several local civic organizations, Ms. Villani was appointed board member of the Court Appointed Special Advocates (C.A.S.A) of Jefferson County from 2006-2009. ISBA Director of Legislative Affairs Jim Covington reviews bills in Springfield of interest to ISBA members. This week he covers: Senate Bill 965, House Bill 1604 and House Bill 1589. Information on each bill is available below the video. The Illinois State Bar Association will be recognizing members who have been admitted to practice for 50 years at a luncheon on Wednesday, Dec. 7. We are pleased to invite you to join President John G. Locallo as the Association recognizes the 2011 Class of Distinguished Counsellors. The luncheon to recognized the 2011 Class of Distinguished Counsellors will be held at The Westin Michigan Avenue Chicago, 909 N. Michigan. There will be a reception at 11:15 a.m. and lunch at noon. Tickets are available at $65 per person and advanced registration is required. To purchase tickets, please complete and return the attached registration form.doc. If you have any questions, please contact Kim Weaver by e-mail at kweaver@isba.org or by telephone at (800) 252-8908. 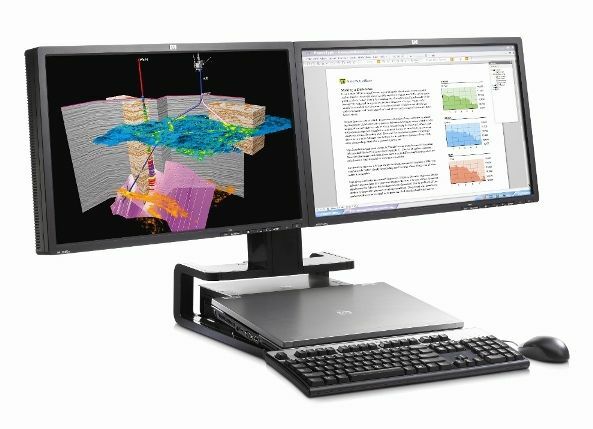 Get the power to perform at a price that makes it possible with this value-priced notebook bundle from HP—specially priced for ISBA members. 1. Pricing is valid through 11/15/2011 while supplies last and is subject to change without notice. You fear Mrs. Jones has diminished capacity. Can you allow her to make a decision you advise against? Must you? In the November IBJ, Kerry Peck explores this and other issues, like conflict of interest and confidentiality, that arise in serving elderly and other estate-planning clients.